ANNAPOLIS, Md. and JERVIS BAY, Australia --- The Northrop Grumman Corporation AQS-24B mine hunting system demonstrated the benefits of performing mine warfare from a high-speed, unmanned surface vessel (USV) at the Royal Australian Navy-sponsored Autonomous Warrior 2018 exercise in Jervis Bay, Australia. The Northrop Grumman remote controlled Mine Hunting Unmanned Surface Vessel (MHU), with the AQS-24B mine hunting sensor, demonstrated a safe standoff mine hunting and undersea surveillance capability targeted at addressing three key aspects of the mine warfare challenge: reducing the mine clearance timeline; accurate detection, localization, classification and identification of undersea objects of interest; and improving crew safety by keeping the sailor out of the minefield. The AQS-24B system includes the world’s first combined operational High-Speed Synthetic Aperture Sonar and an optical laser line scan sensor, which provides complete coverage out to maximum range on a single pass. The real time analysis capability demonstrated how unmanned systems can augment manned mine warfare operations. 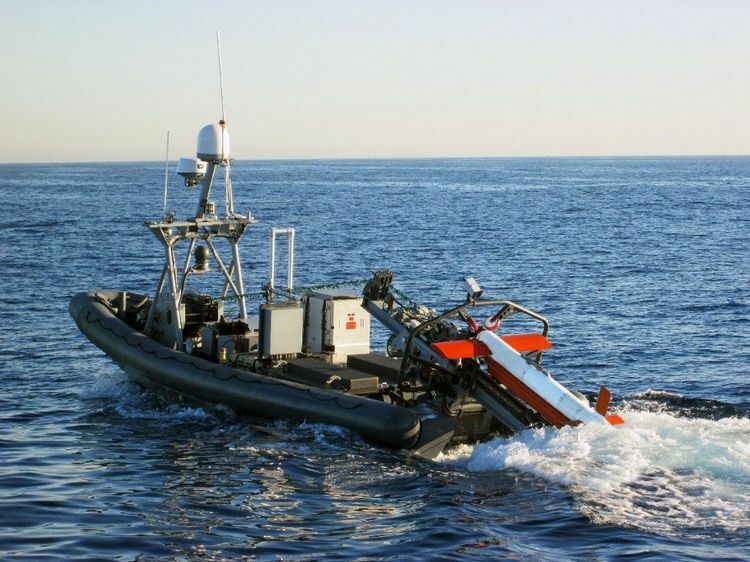 The MHU was outfitted with L3 ASV’s ‘ASView’ unmanned control system. The system provided the capability to control the vessel from a remote location with minimal human oversight. ASView’s situational awareness displays provided the remote captain full control and awareness to safely execute dynamic demands of mine warfare missions.